There's nothing cool about school, right? That’s what we were thinking when we were contracted to build the new website for Haywood County Schools, a U.S.-based school system in the heart of Tennessee. We were skeptical at first, but we found a project that provided not only one of our greatest challenges, but also one of our greatest rewards. The rewards are easy to see: helping the teachers and educators that are raising our future—the children. 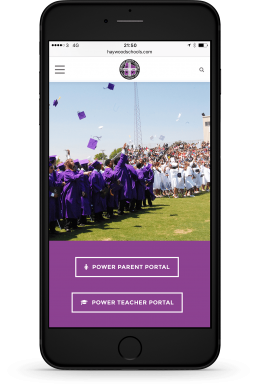 The challenges were many: from merging an archive from their old, unusually outdated content management system to migrating thousands of pages and designing a modern website that was easy to use for teachers, parents and young students. The first challenge was solved by good, old-fashioned elbow grease. The second led us towards a kid-friendly layout that uses icons and a custom menu to give the website an app-like feel that’s easy to understand and use. By pairing the new Haywood County Schools website with Potato Care, our cloud-based hosting service, we’re making sure that attendance stays perfect with minimal downtime. 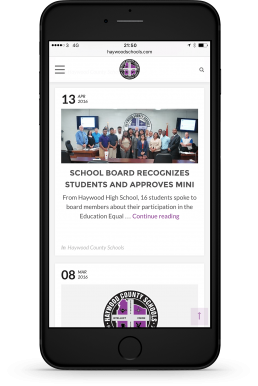 For Haywood County Schools, it’s a new look that’s keeping them in touch with the times. For us, it’s a reminder that—like your favourite teacher— school really can be cool. As administrator for the Haywood County Schools website, Brownsville, (USA), I have had a great experience with Metal Potato. They have been more than accommodating in design ideas and questions and helped me through learning WordPress, which I had not used before. They were very patient with my questions and gave me all the answers I needed, usually with a video showing me how to make changes to different parts of the website. We are thrilled with our new “look” and I am thrilled that the editing process will be much easier! I really appreciate Metal Potato’s help throughout this process.